Media giant NBC has opted not to renew its contract to sell TV shows through Apple's iTunes. Apple had previously claimed that NBC wanted the wholesale rate for each episode, which currently stands at $1.99, to be doubled. "We are disappointed to see NBC leave iTunes because we would not agree to their dramatic price increase," Eddy Cue, Apple's vice president of iTunes, told Reuters in a statement. NBC holds some pretty persuasive content cards, including the new series of Heroes, due to air this month. 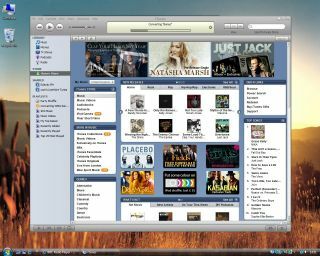 The company has so far been the largest supplier of shows to the iTunes service - around 40 per cent of downloaded shows. iTunes is facing a testing few months, with a raft of competing services in the pipeline. Vivendi Universal previously turned down the opportunity for a long term tie-up with iTunes. Two weeks ago it paired with SonyBMG to back Gbox. The US download site launched with its pricing the same as at Apple's store. Gbox's music also has no DRM (Digital Rights Management) attached, meaning purchasers can use the files as they wish. Nokia also announced its Ovi internet portal last week, which is expected to feature music downloads. iTunes recently announced the launch of iTunes TV downloads in the UK.